Today’s business world transcends the brick and mortar storefront. A company website means products sitting on the shelf in Milwaukee are ending up in homes in Miami. Likewise, today’s businessperson isn’t just sitting at the counter answering the phone. They’re also connecting via cell while at a conference, faxing from the hotel lobby, and dialing home to check voicemails. 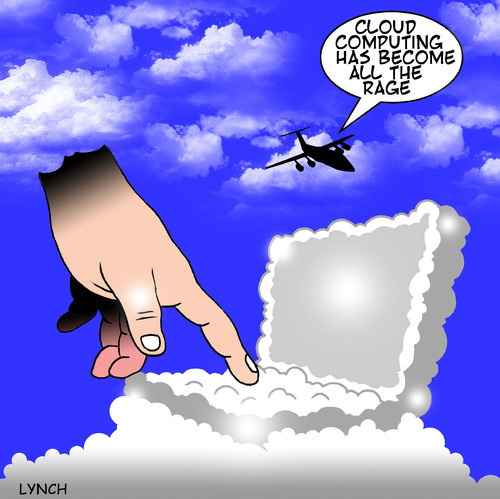 Now, what the website did for simplifying sales, the Cloud is doing for communications. “Joining the cloud” means connecting all of your phone lines, even at offices across the country, having calls seamlessly forwarded to your cell phone, or being able to fax from your company’s number no matter where you are in the world. The bonus is that instead of trying to run an entire business from your personal cell phone, you still can have a toll-free number, multiple extensions for different departments, and a professional answering service. What makes this a green move? One word: consolidation. As communications becomes simpler and business more virtual, there is less need for certain industries to shoulder the heavy carbon footprint of a full-time office. That means less electricity consumed for lights, A/C, and heating, as well as less carbon emitted during the weekly commute. Carbonfund.org partner Nextiva is the leader in cloud-based, business VoIP phone systems, hosting thousands of small- and medium-sized businesses throughout the United States. Nextiva is a top rated communications provider for a reason. Each service they offer has been engineered to give small business owners an advantage. If you’re on the go, it can be difficult to manage messages coming to and from all directions, including home, office and mobile devices. Nextiva Connect eliminates message management mess. Instead, they can route incoming calls to your preferred application/phone and set up a protocol so calls and messages follow you anywhere. There are no busy signals and no missed calls, and you can manage calls online as well. The system manages phone calls, voicemails, virtual extensions, and more. In December 2010, CompareVoIP.com awarded Nextiva its prestigious “Top Business VoIP Provider of the Year” award for the second year in a row. “Our mission is to become the market leader for small businesses in providing unified communication services, which include VoIP, Fax, Tele and Web conferencing and customer management products at affordable prices. Our vision is to become your #1 choice for serving all of your business communication needs,” said Thomas Gorny, Chairman and CEO of Nextiva. If you’re looking to simplify your business, talk to Nextiva and begin your journey into the clouds. After all, the sky is the limit. Race Your Next Triathlon CarbonFree®! US Seeks Climate Legislation Before Copenhagen Conf.